Playwrights from all over the U.S. and from as far away as New Zealand have submitted over one hundred 10-minute plays with strong components of science and theatricality. Selecting winners in this year’s competition was especially difficult due both to the large number of submissions and to the high quality of most of the entries. 6:30 pm on Wednesday, November 2, 2016. The First Prize of $500 goes to Christian Simonsen, a playwright from San Francisco, for his play Eve of the Vertebrates. The Second Prize of $200 goes to Michael Erickson, playwright and professor of English from Webster University in St. Louis, for his play Caveman’s Rock; and Third Prize of $100 goes to Kathleen J. Crane, author from Washington, D.C. and board member of “Medicine for Peace”, for her play Mendel. The plays that have received honorable mention are Eurekas by Eoin Carney, professor of radiology at the University of Pittsburgh, blogger, and playwright, Kiss of the Ninth Planet by Christy Hall, playwright from New York City, and Silence by Vladimir Zelevinsky, playwright from Massachusetts. From a fanciful starting point, Eve of the Vertebrates manages to wed science and theatre in a surprising, entertaining, and deep way. Taking us far back in evolutionary history, Simonsen imagines the first few steps on land taken by our ancient amphibian ancestors, the tiktaaliks. Caveman’s Rock is a precisely constructed play that illustrates the surprising places from which scientific inspiration may come. Presented with some ancient stone artifacts from our Paleolithic ancestors, the characters in Erickson’s play must figure out what they were used for. Mendel is a period dialog between the title character and his superior at the abbey. 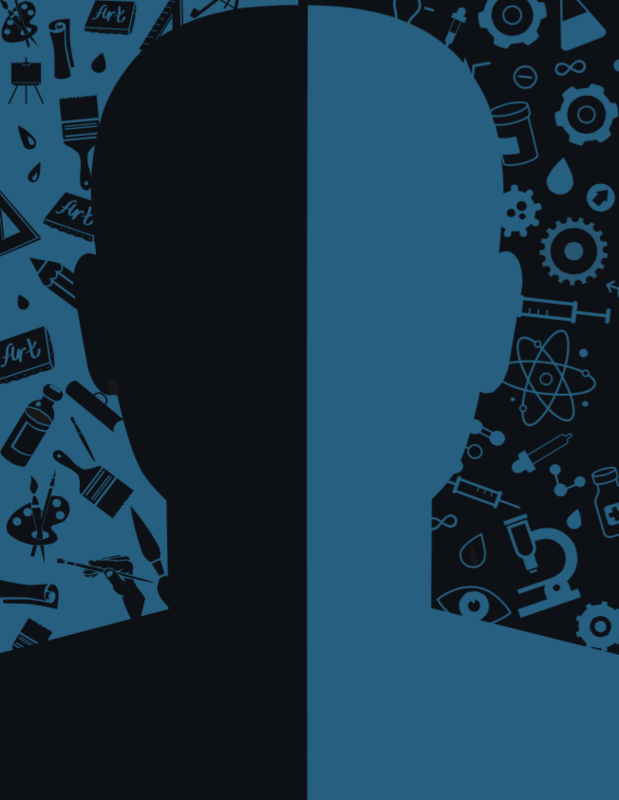 Set in the 19th century, the play has resonance in the present, addressing how scientists must find resources for their research without compromising their integrity. 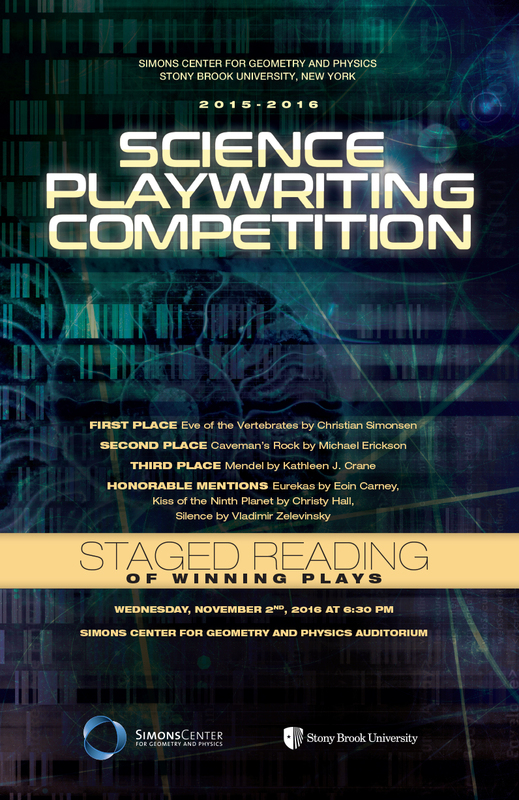 We are currently requesting play submissions for the Fifth Annual Science Playwriting Competition. Plays should be roughly ten minutes in length and have a strong science component. The competition is open to the general public. The deadline for submissions is April 1, 2017. Plays should be submitted through the website http://scgp.stonybrook.edu/scienceplays. 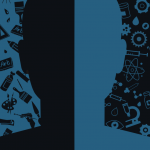 Last year’s and this year’s competition are made possible by the generous support of the Simons Center, the C. N. Yang Institute for Theoretical Physics, and the SBU Department of Theatre Arts. We also welcome the Alan Alda Center for Communicating Science as a new partner in our endeavor. The Competition’s awards committee includes the playwright Amy Herzog, her brother Christopher Herzog (YITP), George Sterman (YITP) and Steve Marsh (Theatre Arts). For more information visit http://scgp.stonybrook.edu/scienceplays or call 631-632-2800.